I have seen so many new teachers struggle with classroom management for a variety of reasons. 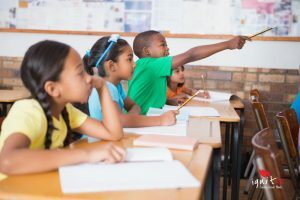 Some teachers either try to bribe the students and others try to implement ineffective strategies that they taught in their education classes. By the middle of the school year many of these teachers quickly realize that the students don’t respect them and have no control over their classrooms. A teacher’s classroom management can be a deal breaker when it comes to increasing student achievement. A literature review by Wang, Haertel, and Walberg found that of all the variables , classroom management had the largest effect on student achievement. 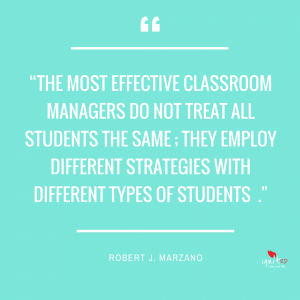 Robert and Jana Marzano’s article “The Keys to Classroom Management” discusses the importance of using researched based classroom management strategies to build a positive classroom dynamic. 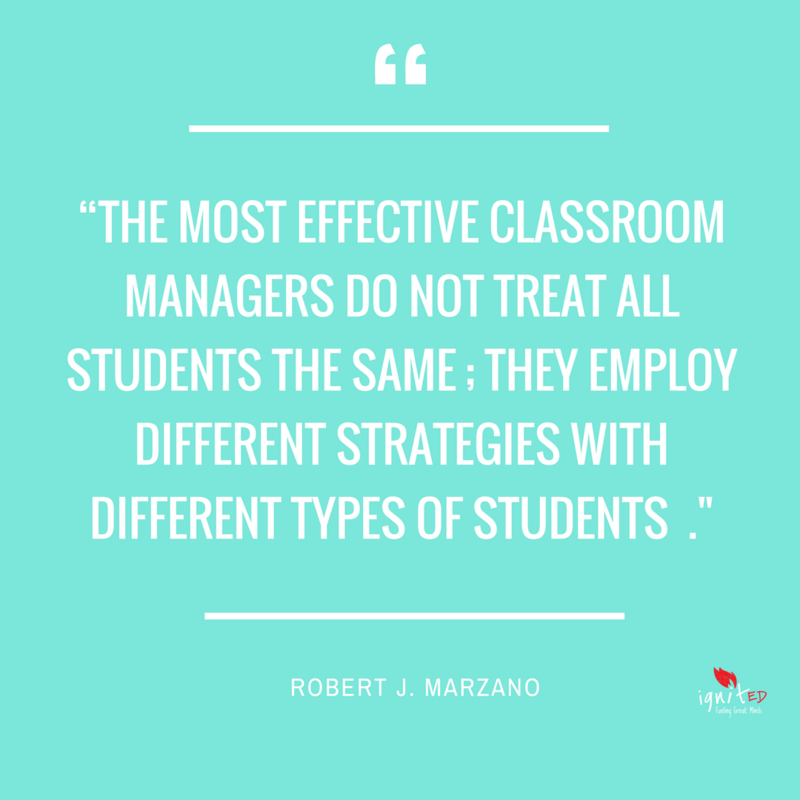 In the article Marzano focuses on 3 teacher behaviors that create appropriate levels of dominance, appropriate levels of cooperation, and awareness of high-need students. The idea of dominance in a classroom may give some a negative feeling. Dominance in the educational setting can be defined as the teacher’s ability to provide clear purpose and strong guidance with both academics and behavior. Some teachers may feel that they are controlling a child and diminishing their independent thinking, but studies indicate that when students are asked about their preferences for teacher behavior, students typically chose this kind of teacher-student interaction. I was surprised at her response but it let me know that I had established clear behavior expectations and learning goals in my classroom. Although is seemed like overkill to my co-worker my students saw it as an appropriate level of dominance. Throughout my 17 years of teaching I’ve seen teachers puzzled by the fact that they can’t control their classrooms. Some of the teachers buy extravagant presents to try to get control of their classrooms, however the result is always the same. The students behave for a little while but return to doing whatever they want to do. I tell teachers time and time again that the students MUST know who’s in control from day 1. If you don’t establish this hierarchy then your classroom management plan will be meaningless. So in order to get students to cooperate there has to be an appropriate level of dominance. The last key to managing a difficult classroom is awareness of high need students. As a teacher I have come in contact with different kinds of students with needs that I can’t sometimes meet. The Association of School Counselors notes that 18% of students have special needs and require extraordinary interventions that are not available to classroom teachers. The Key to Classroom Management identifies 5 categories of high need students. Teachers aren’t able to address all the needs of every student because 12-22% of all students in school suffer from mental, emotional or behavior disorders in which few receive mental health services (Adelman & Taylor, 2002). When teachers are faced with students who fall within this 12-22 percent he or she should become an advocate for that student. Sometimes school may be the only place where students can get their needs addressed. 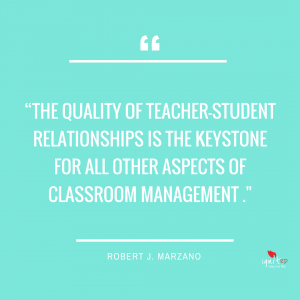 Teacher-student relationships provide the necessary foundation for effective classroom management. Classroom management is the key to increasing student achievement. 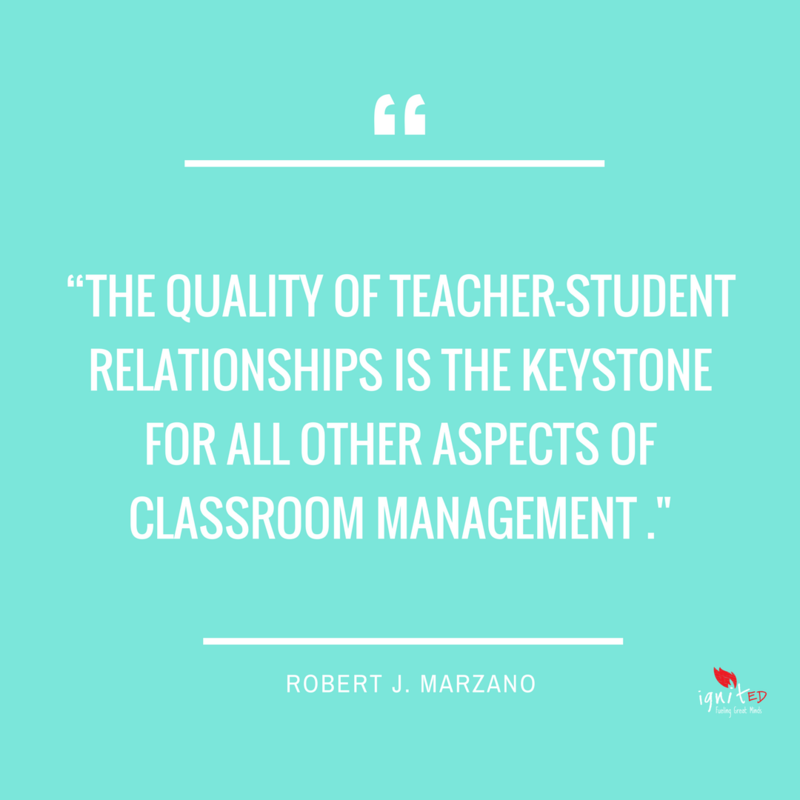 According Marzano effective teacher-student relationships have nothing to to with the teacher’s personality or even with whether the students view the teacher as a friend. Building an authentic relationships with students begins with taking a personal interest in the students that you teach. If you aren’t truly interested in seeing your students succeed then the classroom management battle is lost. Students can spot a pretender a mile a way. I love this! I was just remarking to some newer teachers that I always start the beginning of the year with a tour of the room. I told them I use the tour to “establish dominance.” They thought I was being funny. I was, but I see it work time after time. Most students need the structure in order to feel safe in the classroom. I rarely have classroom management issues and I have taught for 23 years, all age/ability/socioeconomic levels/subjects. They know what I expect and I reinforce the expectations immediately and impartially, yet with grace for the kids. I 100% agree! I think some teachers feel like it cruelty but actually the student like the structure. 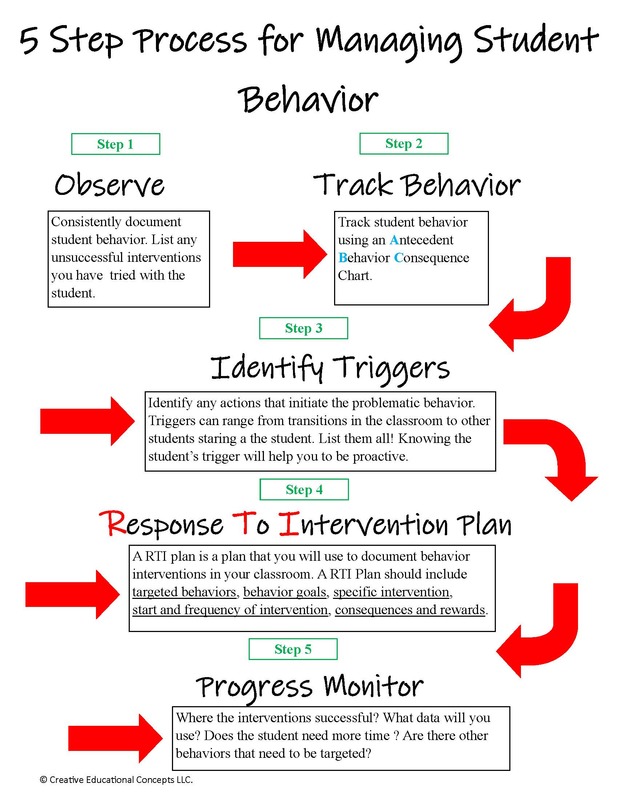 Can you tell me more about the Behavior Support Classroom please? I teach at a school where we are struggling to find a place for students that can’t meet behavior expectations in class but we don’t want them in an ISS setting where their learning is minimal. Thank you. Our school district has classroom where students have who have severe behavior challenges are placed in the BSC classroom by the IEP committee. The classroom is a self-contained classed that has a teacher and 1 teacher’s assistant. I am curious about this behavior support classroom also. Is it multilevel? Do the students attend specials, lunch and recess with the rest of their class? Yes, the BSC is multi-level and the students attend specials and lunch with their peers. Not sure how recent this post is but I experienced so much bullying from administration and a bully teacher who also was my mentor that I left. I work now for a non toxic school but I wonder if anything can be done, especially since HR us on the bully side. If you're stuck trying to figure out how to get your students to stop talking while you're teaching, or you've tried reading books, blogs, and asking other teachers for strategies but haven't been able to find anything that works. Download your your plan for success!